KATHMANDU, Aug 23: Nepal as the current chair and host of the fourth summit of Bay of Bengal Initiative for Multi-Sectoral Technical and Economic Cooperation (BIMSTEC) being held next week has decided to push forward the agenda of Buddhist Circuit among the members of the sub-regional body. Addressing an interaction organized on Wednesday at the Ministry of Foreign Affairs (MoFA) to seek feedback from former foreign secretaries, ambassadors and senior journalists, Minister Gyawali said Nepal expects to give a shape to the Buddhist Circuit. Gyawali argued that the circuit would be vital to connect people living in all the member states. While giving information about the preparations made so far to host the summit, Minister Gyawali said that BIMSTEC has over a dozen priority areas and that it is important for member states to prioritize them according to the needs. “There are many areas of work. It has not been decided yet which area should be accorded high priority. We must set our priorities right in order to achieve effective results,” he further said. 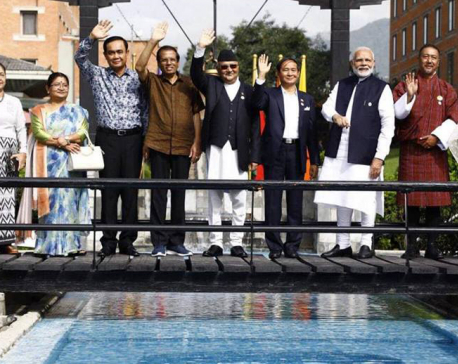 Officials involved in the preparation of the BIMSTEC Summit said the main agenda of the upcoming summit scheduled for August 30-31 is to give priority to enhancing connectivity, trade and investment, people to people interaction among BIMSTEC member states and poverty alleviation. 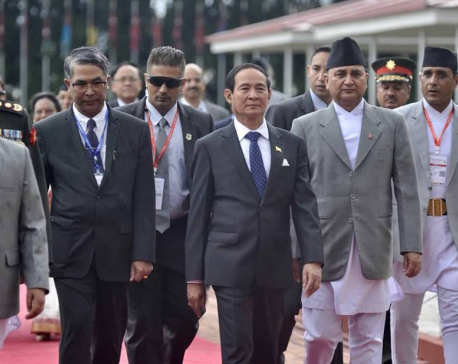 Nepal has expedited preparations for the summit to bring some concrete result in these themes. Minister Gyawali said issues like peace, prosperity, sustainable development and climate change are also among the priority areas for the BIMSTEC Summit. BIMSTEC member states plan to ink various agreements including those on energy cooperation, controlling cross-border crimes, technology transfer and free trade, among others, during the summit. The summit may also take some decisions to strengthen its Secretariat, institute BIMSTEC Development Fund and BIMSTEC Infrastructure Development Bank, according to officials. Speaking at the interaction, foreign affairs experts suggested to the government to utilize this summit for Nepal’s benefits. Former Ambassador Shanker Sharma argued that the summit should take some concrete measures to create an environment conducive to promoting energy trade among the member states. Former foreign secretary and UN Under Secretary General Gyan Chandra Acharya also stressed the need to give emphasis on energy connectivity. Arguing that BIMSTEC also faces the problem of trust deficit, he said that the member states need to make efforts to address this problem. Former foreign secretary Madhu Raman Acharya said that there is no point in having BIMSTEC if it is to be made like SAARC. He argued that the priority areas need to be reviewed in such a way that each member state can lead at least one area.